Every time you visit a website, the website stores cookies on your device. Cookies are small files which hold modest amounts of data to a particular website or client. They are supposed to make your experience online better. They may help a website remember that you had already logged in before and hence allowing you to access its “logged-in only areas” without having to log in again. Most web users are looking for an answer to the question “should I delete cookies on my iPad?” We will answer this question in this article. Part 2. How Do I Delete Cookies on My iPad? Corrupted cookies will mess your browsing experience. Outdated cookies will not be helpful in any way when you are browsing. Cookies are files. They may be smaller. However, they can add up when you are visiting numerous websites. When your hard drive fills up, it will affect your device operation speed. The personal info stored by cookies can be accessed by other websites. It is no sure which websites can abuse the personal information. Back in 2014, hackers used forged cookies to steal passwords and usernames belonging to more than 32 million Yahoo user accounts. To gather the data for all 32 million Yahoo accounts, all the hackers had to do is forge cookies, and use them to gather information on the 32 million Yahoo users’ devices. There is no knowing when this can happen to you. Deleting cookies can save your important data. How Do I Delete Cookies on My iPad? You can erase Safari history, cookies, and cache with a 0% chance of recovery. You can locate the Safari data you deleted via the conventional means and erase it permanently. You get to preview the Safari Data before erasing it to avoid error erasure. iMyFone Umate Pro recommended by lots of noted media arround the world: MacWorld, iPhoneinCanada, APPKED, etc. Step 1: Connect your iOS device to the computer and trust the PC. 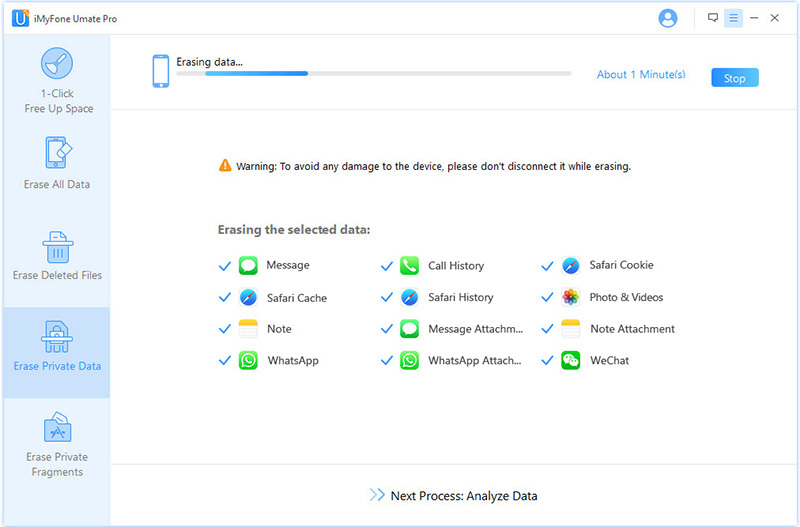 Select Erase Private Data and then tap Scan. Step 2: After the scan, all your private data will be displayed. Select Safari Cookie, Safari Cache, and Safari History. Tap Erase Now. Step 3: Choose a security level and type “delete” in the textbox to confirm. Tap Erase Now to initiate the erasing process. It can erase all types of data permanently. 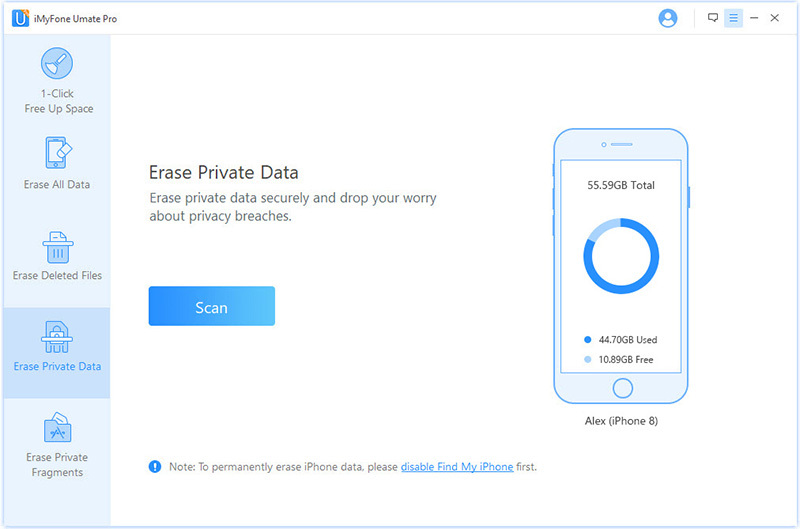 The data it can erase includes photos, call logs, contacts, messages, videos, and more. You can use it to scan and locate the data you had deleted using the conventional means. You can erase the data permanently to make it irrecoverable. To avoid error erasure, Umate Pro gives you a chance to preview the data before you can erase it. 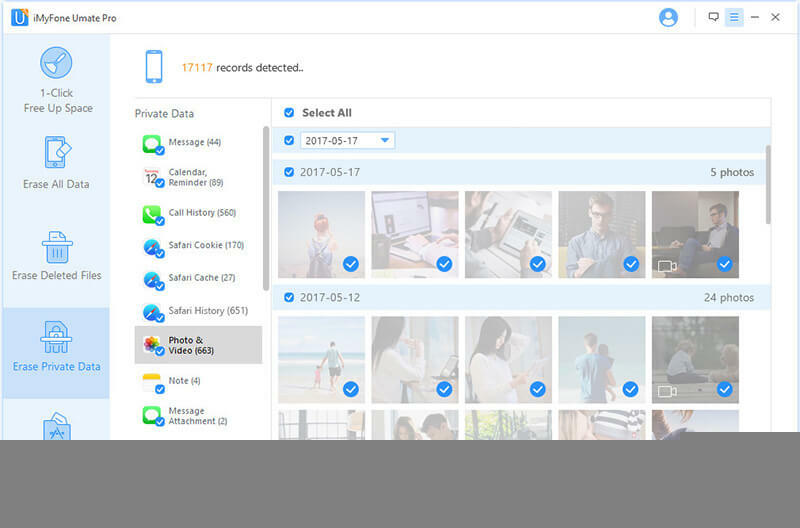 The tool allows you to boost your device performance by helping you clear its storage space using a single click. Step 1: Open Settings and click Safari. 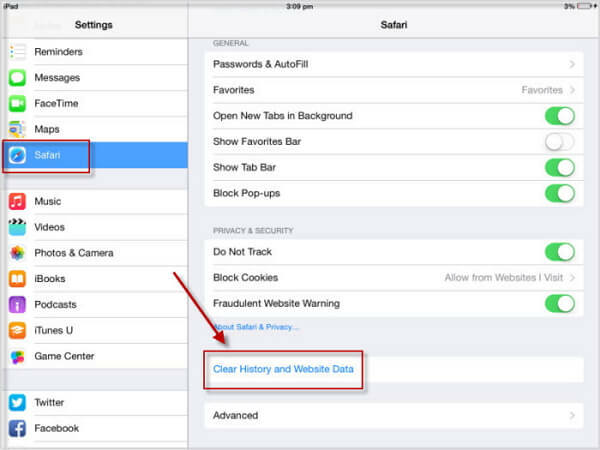 Step 2: Click clear History and Website Data. The problem with using the Settings to delete your Cookies is that they can be recovered quite easily with some third-party recovery app, so you must permanently delete Safari Cookies to avoid privacy leak.